The silver color oxidized dry fruit box is just ideal for storing fresh dry fruits. It is a closed one with a lid with a Read More..latch on it. 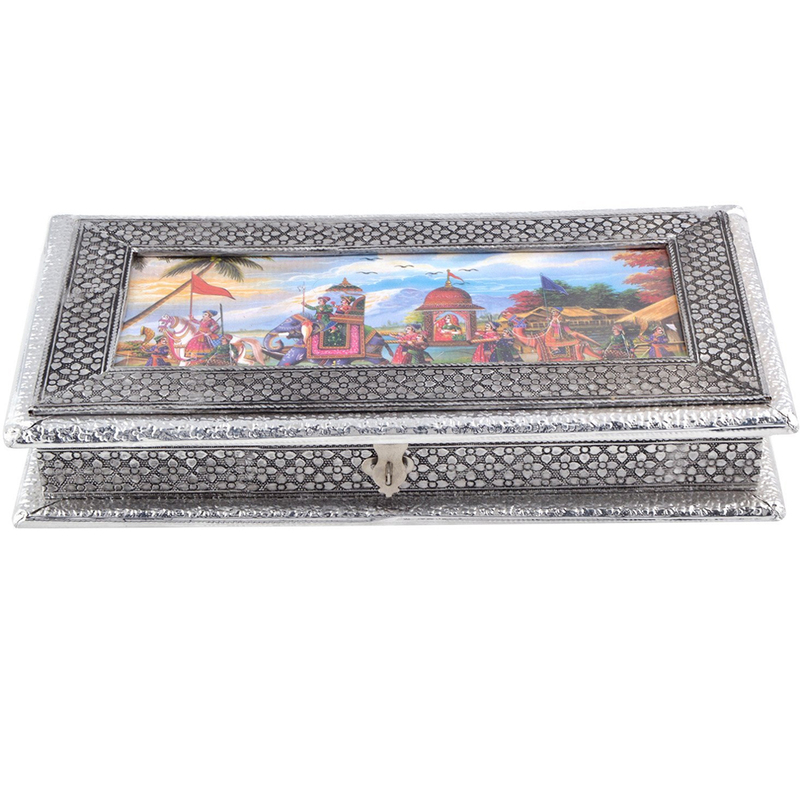 The box is rectangular in shape and engraved with creative deigns which showcases the hardwork of the craftsmen. The rich detailing make it more interesting and attractive. It is very stylish and creative in its design and makes a good present as well. Show Less..